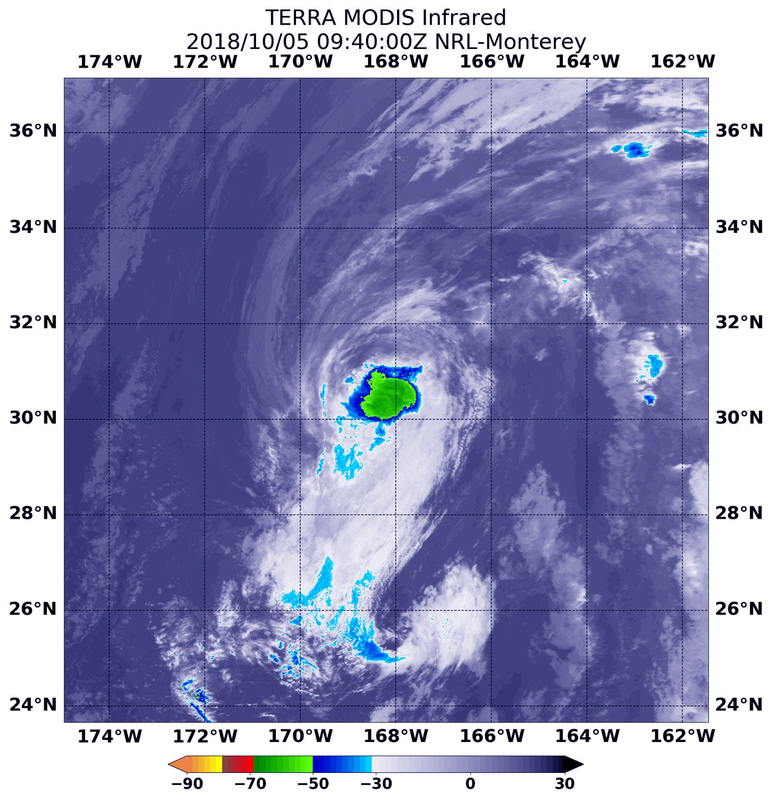 NASA’s Aqua satellite passed over the Central Atlantic Ocean and obtained infrared data on Leslie, now weakened to a large tropical storm. 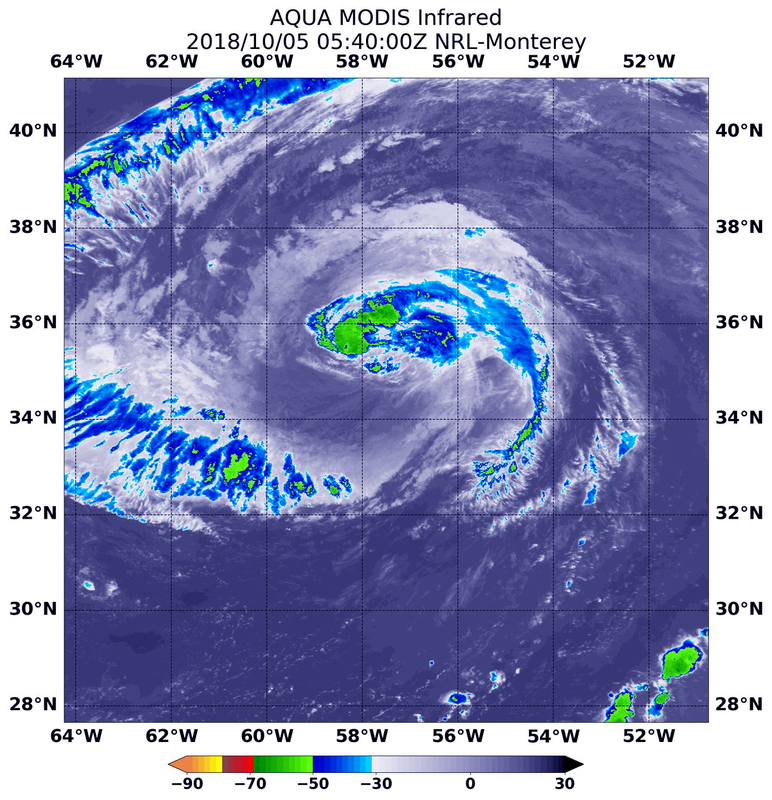 At 1:40 a.m. EDT (0540 UTC) on Oct. 5, the Moderate Resolution Imaging Spectroradiometer or MODIS instrument aboard NASA’s Aqua satellite revealed strongest storms with the coldest cloud top temperatures northwest of Leslie’s center. MODIS found coldest cloud tops had temperatures near minus 63 degrees Fahrenheit (minus 53 degrees Celsius). 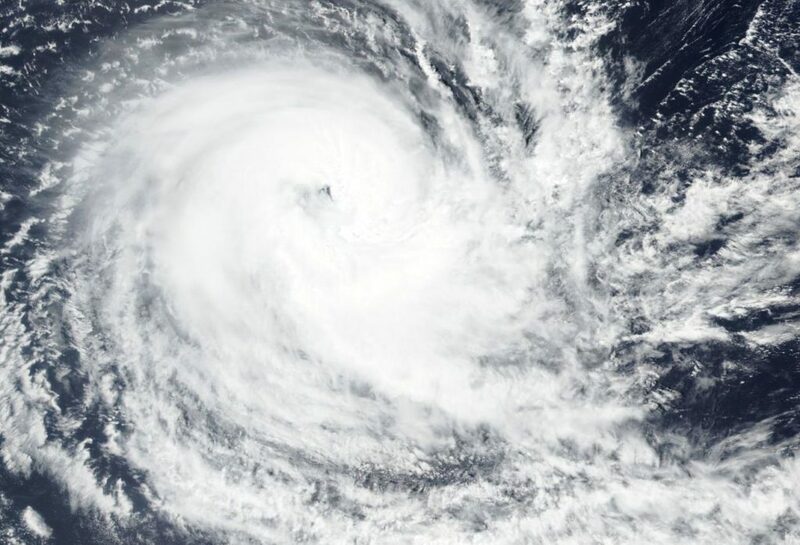 NASA research has found that cloud top temperatures that cold have the capability to generate heavy rainfall. 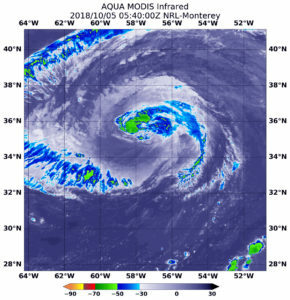 At 5 a.m. EDT (0900 UTC), the center of Tropical Storm Leslie was located near 35.9 degrees north latitude and 58.3 degrees west longitude. Leslie is moving toward the north-northwest near 14 mph (22 kph). A slower northward motion is expected to occur today, but Leslie will make a sharp turn toward the east and east-southeast over the weekend. Maximum sustained winds are near 65 mph (100 kph) with higher gusts. Little change in strength is forecast during the next several days.